New improved Isolateral arms are now available on the newest LeverGym with Matte Black Paint Finish. The arms can be adjusted and released for independent movement via an easily accessible side pin. A new design is not the only thing that makes the Powertec Workbench Leverage Gym WB-LS16 different from the rest. Over 20 of the best and most effective classic strength training exercises built into this gym to work every muscle group to its maximum providing precise function. The Powertec Leverage Gym WB-LS16 incorporates a lock and load removable bench section opening up the lever area for power exercises such as squats, shrugs and rows. The bench has wheels for easy in and out access and includes handlebars for gripping during leg exercises. The Powertec Workbench Leverage Gym WB-LS16 series gives you that powerful, rugged feeling when you train. After all, training is "work", and these systems provide the proper tools to cut, shape and build your body. So prepare to work hard, sweat a bit and have some serious fun with the Powertec Workbench Leverage Gym WB-LS16 from Powertec. Since introducing the Isolateral Arms system and continues to provide with advance performance products, for 2017 Powertec has redesigned the Isolateral Arms. New Workbench Leverage Gym features redesigned Isolateral Arms that provide symmetrical and biomechanical performance. 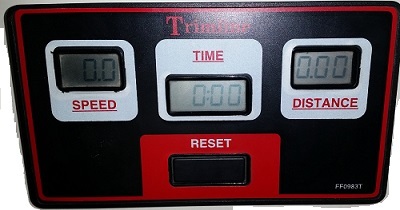 The Workbench Leverage Gym also features a new accessory support plate located on the inside of the bench frame accessory receiver tube, it is designed to secure all Powertec accessories. The new accessory support plate is an added feature to All Powertec Workbench Frames. Redesigned - Isolateral Arms New Accessory Support Plate. A new design is not the only thing that makes the Powertec Workbench Leverage Gym WB-LS16B different from the rest. Over 20 of the best and most effective classic strength training exercises built into this gym to work every muscle group to its maximum providing precise function. 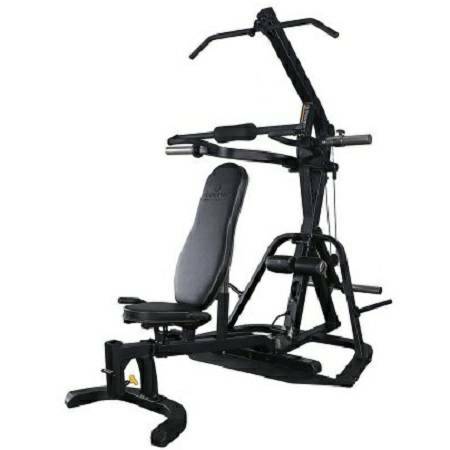 The Powertec Leverage Gym WB-LS16B incorporates a lock and load removable bench section opening up the lever area for power exercises such as squats, shrugs and rows. The bench has wheels for easy in and out access and includes handlebars for gripping during leg exercises. The Powertec Workbench Leverage Gym WB-LS16 series gives you that powerful, rugged feeling when you train. After all, training is "work", and these systems provide the proper tools to cut, shape and build your body. So prepare to work hard, sweat a bit and have some serious fun with the Powertec Workbench Leverage Gym WB-LS16 from Powertec. Order your Powertec Workbench Leverage Gym WB-LS16 today. Over 20 of the best and most effective classic strength training exercises built into this gym to work every muscle group to its maximum providing precise function. The unit weights 266 lbs. Powertec Workbench Leverage Gym WB-LS16 performs all of the following exercises! Made of Steel, the Powertec Workbench Leverage Gym WB-LS16 comes with a LIFETIME WARRANTY!